Work on Lucinda (Sargent) Fairman, who lived in a Shaker community in Enfield, New Hampshire, in the 19th century has taken a back seat to other things. 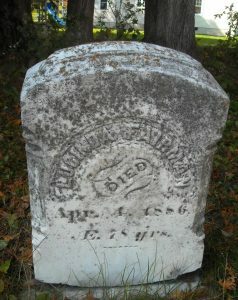 However, a contributor to FindAGrave photographed her tombstone in the Shaker Cemetery in Enfield, New Hampshire. According to the information on the cemetery on FindAgrave, Lucinda’s stone is the only one remaining. It’s not often I get that lucky–over 300 burials and the only stone left is the one I actually need. This photograph of her stone was taken by Nicole S Vecchi and is used here with her permission. The Findagrave entry can be viewed here. 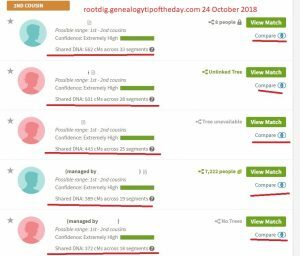 Lucinda has descendants. She joined the Shaker community in Enfield after her two sons were born and they lived in the Shaker community there until they reached adulthood. Hopefully we’ll have periodic updates on Lucinda and her life in the Shaker community. Lucinda is a sister to Clark Sargent–my 3rd great-grandfather. This entry was posted in Uncategorized and tagged lucinda sargent fairman. Bookmark the permalink.